‘We never know the worth of water till the well is dry’. Bangalore is facing a water crisis like never before. Our lakes are polluted. Several of them have been built over. More than half of the city’s drinking water comes from 150 km away – 35% of this water is lost due to leakages. The groundwater table in several areas has hit an all-time low, and in others, has been severely contaminated by sewage. In the absence of regular water supply, citizens have had to resort to buying water from tankers. A Firstpost article in April 2014 talks about the possibility of Bangalore having to be evacuated by 2023, less than a decade away. In 1995, Vice President of the World Bank, Ismail Serageldin, predicted that ‘the wars of the next century will be fought over water’. While the rest of the world might have the luxury of time before it fights the war for water, Bangalore is already on the brink of losing the war. S. Vishwanath, better known in the city as Zenrainman, founder of Rainwater Club and Director of Biome Solutions, says, “Bangalore is likely to be the first city in India that is likely to hit critical ceilings on water availability, and it has already hit that.” Now more than ever, it has become crucial for the city’s citizens to understand the water situation, and implement solutions for the efficient management of water and waste water. The upcoming workshop, for the first time, will include builders as well. “Apartment management associations have a wealth of knowledge, which the builders may not necessarily have. Many times, we have felt there are so many learnings and we realise that it would be good if these learnings are incorporated. That will happen only if the builders are also involved,” says Sangeetha. She is seeking the active involvement of CREDAI as well. Why apartments should be involved in saving water? A good place to implement water management systems would be apartment complexes. Apartment complexes started cropping up in the city to meet the growing demand for homes and the lack of space. Apartment complexes are home to several hundred people, in some cases, several thousand. While most apartments that have been constructed recently, have certainly made arrangements for water management, many apartment associations are retrofitting solutions to ensure they manage water responsibly. In December 2009, ApartmentADDA conducted its first Water Workshop for Apartment. The workshop aimed to empower citizens from apartment associations to take active steps toward water management initiatives. Again in February 2012, 78 homeowners attended the second edition of the workshop to understand how they could make the water supply situation better for their apartment community. These workshops inspired several apartments to implement these solutions. Vishwanath believes that it is time that Bangalore’s citizens understood the water situation, as well as the pollution situation in the city, and what they would have to do to cope in the coming days in. How to implement an effective water management system? The Water Management workshop will address critical issues about water such as water supply (augmenting city supply with rainwater harvesting, waste water recycling), water consumption (metered billing), waste water recycling etc. Panel Discussions, Case Studies and Expert Sessions will be part of the programme. If the city can shift to a decentralised water and waste water management mode, then there will be no water shortage; if not, the crisis is almost here. It will involve the joint efforts of apartment owners, house owners, layouts, builders and the government to implement solutions. And the Water Management Workshop is certainly a good place to start. Disclosure: Citizen Matters is the Community Newsmedia Partner for the Water Workshop for Apartment Complexes by ApartmentADDA. If you have shifted residence recently you may not be able to vote in the coming assembly elections. This is just one of the issues with the recently published voter list. Bangaloreans have filed a PIL asking the High Court to intervene. Bengaluru is the unofficial capital of running. 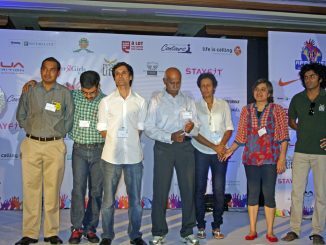 And the city hosted its first awards for its passionate achievers, organised by runners themselves.